195 Broadway, 29-story building in the Financial District, is also known as the Telephone Building, Telegraph Building, or Western Union Building. 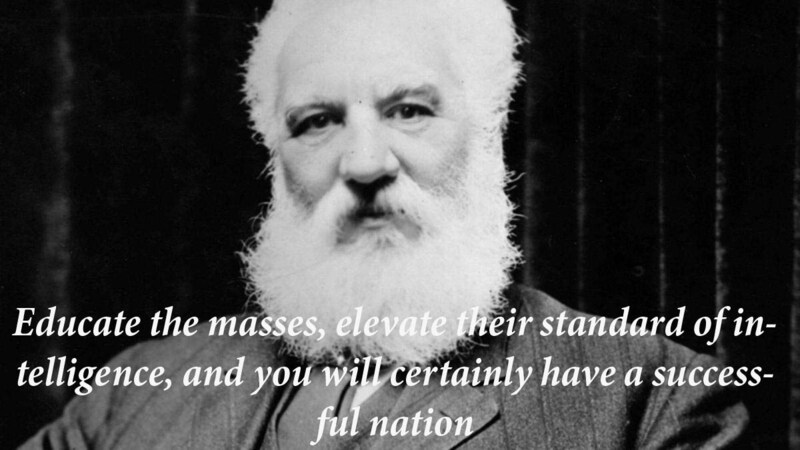 In 1876, Alexander Graham Bell invented the telephone. That was the foundation of the company that would become AT&T , AT&T Corporation, formerly American Telephone and Telegraph Company. American Telephone and Telegraph Company built much of the United States’ long-distance and local telephone networks and become the world’s largest corporation and a standard for the telecommunications industry. 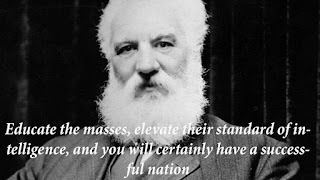 The American Telephone and Telegraph Company was founded in 1885 by Alexander Graham Bell, a Scottish-born scientist who invented the first practical telephone. Bell made the first call on March 10, 1876, in his Boston workshop to his assistant, Thomas Watson: "Mr. Watson--come here--I want to see you". 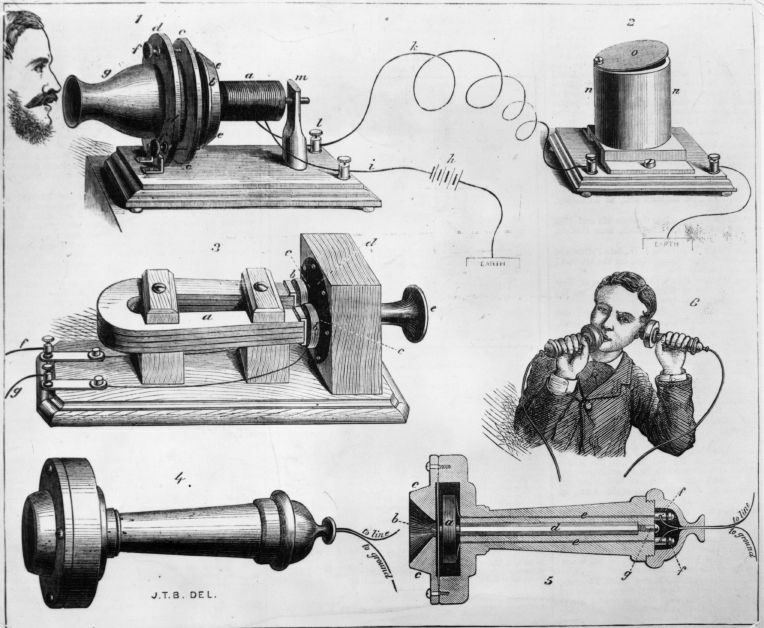 On October 9, 1876, Bell and Watson talked by telephone to each other over a two-mile wire stretched between Cambridge and Boston. A year after Bell and two investors, Gardiner C. Hubbard and Thomas Sanders, formed the Bell Telephone Company. His fiancée, Mabel insisted he show his new telephone at the Centennial celebration in Philadelphia. When Dom Pedro the emperor of Brazil heard Bell reciting Shakespeare over the transmitter, he was astounded. Such a crowd gathered around the exhibition the police were summoned. Later President Rutherford B. Hayes was quoted as saying, "That's an amazing invention, but who would ever want to use one of them?" Later on he had one installed and called it "the greatest invention since the creation". His first call was to Alexander Graham Bell. asts. Dr. Watson replied, "It will take me five days to get there now!" 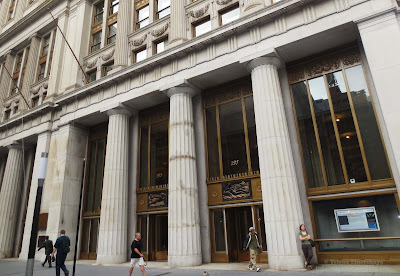 The building at 195 Broadway was constructed under the leadership of AT&T's president Theodore Newton Vail, who was the president of American Telephone & Telegraph between 1885 and 1889, and again from 1907 to 1919. Construction started in 1913 and completed in 1922. It was here where in January 1915 Bell placed the first transcontinental phone call, ringing Watson in San Francisco from New York. 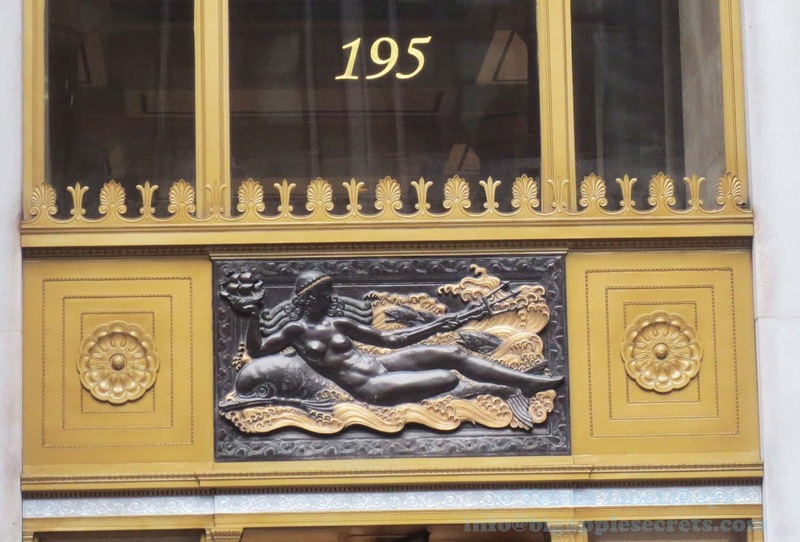 195 Broadway was the site of the world’s first transatlantic phone call. On January 7, 1927, the first official transatlantic telephone call was made when W. S. Gifford, president of the American Telephone & Telegraph Company, calls Sir Evelyn P. Murray, secretary of the General Post Office of Great Britain, on the new commercial circuit. 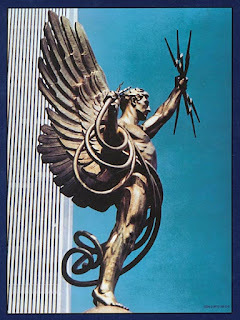 Genius of Telegraphy ( or Golden Boy) has been the symbol of AT&T since 1916. 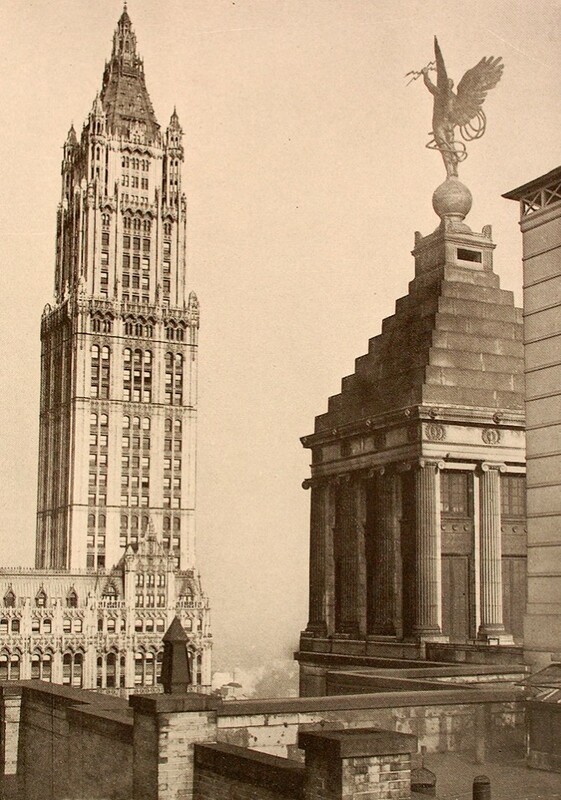 The statue was originally installed atop the Fulton Street wing of the AT&T, 195 Broadway. 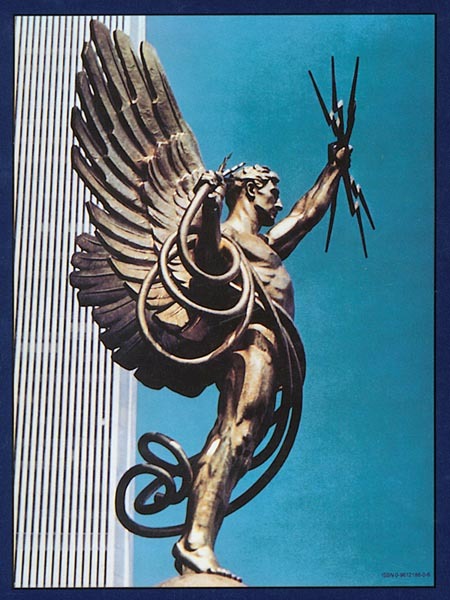 At that time it was New York City's second-largest sculpture, after the Statue of Liberty! The gold-leaf covered statue weighs 18,000 pounds and depicts a winged figure holding up a handful of lightning bolts. It stood on the roof for more than 64 years. Original name of the statue was Genius of Telegraphy, but later it was changed to Spirit of Communication. It was moved to another Manhattan location on 550 Madison Avenue in 1983. In 1992, a ceremony was held when the statue crossed state lines to come to the company’s operational headquarters in Basking Ridge, where it stood until 2002. And now the Golden Boy resides inside the lobby of the company’s global headquarters on Akard Street in Dallas. It is such an amazing and really interesting article. 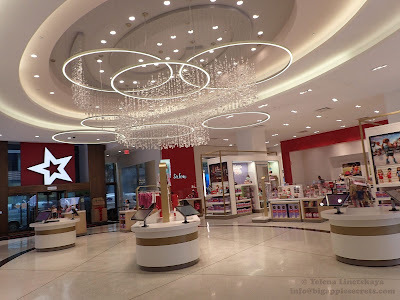 would love to get fun and to exprience this out personaly for sure while mine https://www.goldenbustours.com/2-day-new-york-to-philadelphia-amish-country-washington-dc-tour.html for sure.